Sarah Bohnsack is a partner with Bohnsack & Frommelt LLP, a certified public accounting firm specializing in services to the governmental industry. She is a Certified Public Accountant and a graduate of Illinois State University with a Bachelor of Science degree in Accounting. Sarah has received her MBA through the University of Iowa. Sarah is considered an expert in her field and is often asked to demonstrate her expertise in teaching seminars and workshops nationwide on accounting issues impacting governmental organizations. Sarah has had the honor of being a speaker at a national Government Finance Officers Association (GFOA) convention speaking on practice issues on implementation of recent GASB standards. Sarah also contributed to the profession by serving on the AICPA State and Local Government Expert Panel. The AICPA State and Local Government Expert Panel is an AICPA group whose purpose is to identify state and local government financial reporting and auditing issues and to work with appropriate bodies for resolution. In her role on this panel, she was involved in conducting liaison activities with the GASB, regulators, such as the GAO and OMB, and the applicable industry associations and assists in the development of AICPA products and services related to state and local government audits. Prior to co-founding the Firm, Sarah was an audit partner with one of the nation’s largest firms specializing in governmental audits and other consulting services. At her previous firm, she was responsible for co-authoring the firm’s governmental manuals and also developed, updated, and provided training internally and nationally to other offices and also the firm’s independent network of firms on the governmental template and tools. Sarah has reviewed governmental reports for over twenty years, assuring that the reports meet both the statutory requirements of state and federal agencies and the highest financial reporting standards. 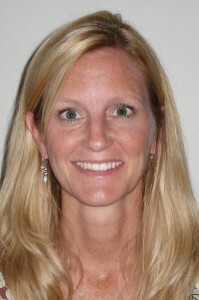 Sarah is a member of the GFOA special review committee. She reviews governmental reports throughout the year to assess reporting excellence in accordance with the requirements of the Certificate of Achievement Program. In addition to her busy professional life, Sarah and her husband, Jay, have six children. As an active parent, Sarah is co-leader of the Rockridge Royals 4-H Club in Rock Island County, the largest club in Rock Island County representing 30 youth. Sarah also served on the board of directors for the Rockridge Booster Organization that provided ancillary funding for academic and athletic initiatives for Rockridge High School students. Sarah was the Junior Achievement Company Connection and annually participates in classroom teaching of the Junior Achievement program. Sarah is a CPA, is yellow book qualified and is licensed to practice in Illinois, Iowa, Missouri and Kansas and is an active member of the AICPA and GFOA.